New price on this gorgeous Crescent Heights home with income potential! From the original oak floors to the stylish touches, this beautifully-kept craftsman home is full of character and space. Custom plantation shutters bring light into every room and lovely features adorn the updated bathroom and kitchen. The studio apartment with separate entrance is also a huge bonus--perfect for an extra family member or tenant, and potential rental income $1000 or more per month! The main house was originally three bedrooms, but one was opened up to create an added dining area. Bigger than it looks, the home has surprise indoor and outdoor spaces throughout it. There's a sunny bonus room (and charming 2nd bathroom) which leads to a private outdoor yard on the side. From the eat-in area of the kitchen you can relax in a serene screened porch and another secluded outdoor deck. A newly-added laundry room and freshly-painted garage round out the rear of the house. The front yard is tastefully maintained and the back has alley access, ample parking and three large storage sheds. There's even room to park your boat or RV! The roof and A/C were replaced in 2013, and the water heater in 2018. The delightful brick-paved street is in an ideal location - Crescent Lake is a block away, the shops and restaurants of 4th St are just around the corner, and you can be downtown or the waterfront in minutes. 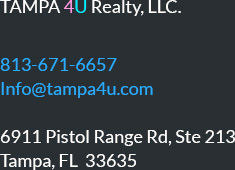 If you're looking for a wonderful home--and NO FLOOD ZONE--in the heart of St Petersburg, this one is a gem.